My first night on call. 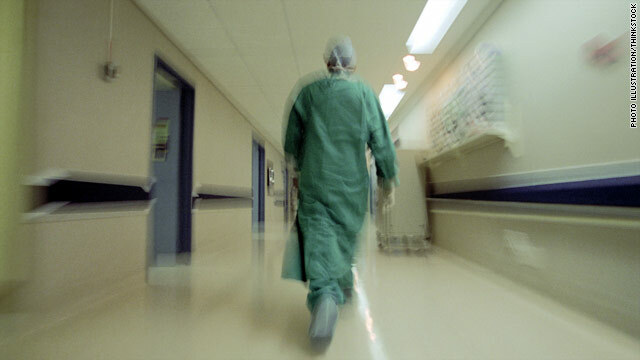 I walk down a dimly lit hallway toward my call room, the only sound the intermittent beeping of a heart monitor. Suddenly, a loud siren rings overhead. A nurse rushes out of a room right in front of me. I look left, right, and behind me. Gulp. She’s talking to me. “OK,” I say, hoping that she hasn’t noticed that my voice has leaped an octave. The truth is, I’ve just finished orientation, which included a course in Advanced Cardiac Life Support, but I have not spent a minute reviewing the manual. Confession: I’m not feeling all that confident. I rushed with the nurse into the patient’s room. I see on the cardiac monitor that the patient is in ventricular fibrillation, the heart rhythm that immediately precedes death. Squeezing an oxygen mask, a nurse stands above the patient’s head. A second nurse runs medications into an IV. My mind goes blank. I have absolutely no idea. I pull out my “peripheral brain,” flip to the section on “ventricular fibrillation.” Aha! Got the treatment. Cardioversion - commonly called electric shocks. “Get me the paddles!” I say, my voice rising. The nurse shoves the paddles into my hands and sets the power to the appropriate level. “Clear!” I yell, and place the paddles on the patient’s chest. She grabs my hands and moves the paddles to a different spot on the patient’s chest. One more second and I would have shocked his liver. “Clear!” I yell again, and press the defibrillation button. The patient jerks slightly and for an instant the heart monitor goes wild. Then it completely stops. We stand still, staring at the monitor for what seems like minutes, awaiting his new cardiac rhythm. Within seconds, several residents enter the room and take over for me. I gladly step aside. I go back to my call room, both exhilarated that I’ve saved a patient’s life and freaking out that I nearly made a mistake would have cost it. I’ve learned my lesson. I pull out my heart book and study it cover-to-cover until dawn. Everyone - even doctors, especially doctors - have to learn and train in order to become proficient. Interns start out as rookies, not seasoned veterans. Experience takes time. So if you have to go to a hospital in July, treat the new interns with patience and respect. Then check with your nurse to make sure they know what they’re doing. Chillax people. It's not a true story anyway. Interns n first year residents are always supervised. Duh? If by supervised you mean the attending doctor signs his/her name by whatever said intern/resident has performed/written for his/her note without actually being present for much, if any of the procedure, then you're correct. If you mean an attending is physically present, supervising, then you'd be vastly incorrect – especially in the event of a code where time is life and there isn't time to wait for an attending presence. Having worked in several (5) top ranked (by US News and World reports) teaching facilities, I can attest to my comment first hand. You mean fresh Interns are running codes in the top 5 ranked US hospitals by themselves? And most of the time it's the RN who is teaching these doctors. When you call the on call pager and get the intern (grrr) you tell them what's going on and what you want ( most of the time) then he/she checks with their senior and give you the ok. If they are worth their salt, they listen to the nurse's when they make the rounds before the senior comes around. But not all. And the at our hospital all nurse's Tele and above are ACLS, we don't wait for the Dr. to run the code. We are running the Code when the Dr. shows up. @Kim RN: The nurses are necessary for the first few weeks after an intern year, especially for logistics. I have never seen a nurse run a code and I would never want to.... you have to be proficient in EKG/rhythm strips and the pharmacology of ACLS drugs... there is on way nurses know that. If you feel your residents are so bad you probably don't work at a good hospital, because good residents MATCH into good residency programs. Additionally, GOOD NURSES take jobs at GOOD HOSPITALS. @Adam: You really think qualified nurses can't understand EKG rhythms and don't have a firm grasp on ACLS drugs? In my opinion, it would be an odd "good" hospital in which experienced nurses on a unit-based telemetry floor don't have that knowledge. In my experience, nurses often have to initiate and run codes because of the laws of physics, which dictate that it often takes several minutes for an MD to move from his or her immediate position to where the code is actually happening. The sad thing is we can't give the drugs we know are appropriate because the MD hasn't arrived. it's a true story...but an old one......best time to go? Christmas. I had a heart attack in July and this makes sense. One of the guys trying to put an IV in my hand had no clue what he was doing. Other interns were actually mocking him like it was some kind of game. I asked who was in charge and asked that all the immature asses be removed from my care. From that point on i always ask for a doctor and not someone new. No doctor would put an IV in your hand. That is a nurses job. You must be referring to the actions of a nurse. During a code a doctor might put a line into an artery because this is under their qualifications, but a nurse puts in an IV. Nice article...looks like you need to read the manual again. You don't cardiovert v fib – you defibrillate. Also interns are supervised. In actuality, that nurse probably told him what to do, how to do, and when to do it. A nurse could not run a code. They may know where the paddles go but they cannot run a code. They don't have the qualifications to read a rhythm strip and determine what pharmacologic actions are the necessary next step. @Adam – Yes, nurses can read rhythm strips. And nurses can take the same ACLS courses that MDs take. Learning the pharmacology of the meds and EKG interpretation does not take an MD degree. Adam, nurses most of the time, and especially with interns and residents do run the codes.....we take the same courses the doctors do and are taught how to intubate, what drugs to push, when to shock or not shock and the list goes on and on, I have personally been in a code on a 4 month old baby in a rural hospital with a 3rd year resident who was "moonlighting" and was the only doc in the building.....I had to intubate and establish an IO because he froze up and couldn't remember what to do and this baby's life was hanging in the balance....so basically I ran a code as a nurse by myself while he paced the room.....and guess what the baby survived....so don't ever doubt the training a nurse gets.....we are typically the ones calling the shots most of the time!! I don't think that's the typical situation. But I do think nurses have a pretty good handle on what to do in codes. As do all health care professionals–its as "cookbook medicine" as there is, with relatively few permutations. All doctors and nurses have to start somewhere. Humans will make mistakes. We are not robots. Doctors have long schooling high bills and high price tag on insurance. The nurses were new at one point as well. The difference is nurses whom had been on the job for years do see everything the doctors do. They know what to do but can not because they did not go to school for a doctor pay for it. They can hide behind a doctor if they make a mistake. Some nurses want to be the doctor. We'll go to school then you can make the calls. This has been a issue in the hospitals for years. Doctors and nurses are both needed and wanted. Do your job you went to school for and take advice from others with the same degree. Most hospitals at least the ones I would go to have residents working with other board certified well educated doctors. There will always be bad doctors and bad nurses out there. I am either. I come from a family with a lot of medical degrees. I see both sides doctors and nurses. I do have to say there are a lot of nurses today that want to be the doctor. Please even if you know a lot from being in the field for years. Don't try to treat and cure the world nurses. Let the doctors do there job. If you feel the need to do more go back to school and get that PhD. Stay safe and thank you nurses and doctors for all the hard work.. The problem is that a doctor spends maybe 5 minutes with you and only reads what is on a patient's chart. Additionally, a doctor only sees test results. The doctor doesn't always see the actual disease or sickness "in action" as a nurse would. A nurse spends more time with the patient and knows more about the patient than the doctor most of the time. The doctor may know more about diseases and how to cure them, but the nurse is the one doing all the physical work. My mother is a retired nurse, and she has told me countless stories about doctors ordering incorrect medications, incorrect dosages, etc. There were times doctors ordered medications the patient was allergic to and it was the nurse who noticed the discrepancy. Who puts in your IV? The nurse. Who administers your medication? The nurse. Who takes your vitals? The nurse. That is the nurses job. You have listed what is expected of nurses. They are the front line, so of course they put in IVs, give medications, etc. Doctors do visit the patient and yes they do depend on nurses for information on what has happened hour to hour - that is part of the collaboration that makes hospitals run. A doctor cannot spend all day with one patient - there are other lives to save as well. A doctor has a panel of 20 patients they are treating. A nurse has two to three which is why they can spend so much time with the patient. Nurses need to talk to doctors and doctors need to talk to nurses. And to address your statement on medical errors - nurses make many mistakes too. Just the other day on the labor and delivery unit, a nurse ran magnesium sulfate (for preeclampsia) through the wrong IV port on the machine.... it was given at an unbelievably fast rate and the patient died from magnesium toxicity. I suggest to your mother that she become more humble because she was once trained and she made mistakes in her time - trust me. Last, doctors always know more about their patients than the nurses - how couldn't they? - the doctor knows the patients past medical history and about every current disease they have - much of the time the nurse doesn't even know what the disease means. Adam – I suggest to you that you review what nurses do ... you really don't appear to have much idea as to the role of nurses, nor do you think much of the profession. Stating that nurses have no idea about what different diseases are, is ignorant, and just incorrect. On what planet do nurses (outside of an ICU setting) have only two or three patients? @adam lol, I am beginning to think you are purposely playing devil's advocate? Or maybe you are very new? Nurse's around the US are fighting for patient safety due to terrible staffing laws that allow 1 RN to care for up to 8 patients. And you are correct that everyone makes mistakes which is why working together respectfully can help to alleviate some stress at work that sometimes can lead to the mistakes! I work with amazing nurses and doctors that didn't all start out that way. Appreciate your resources and be humble always. The best doctors and nurses realized early on that patient care is a respectful collaboration and if you refuse to be a part of this then your career is set to be pretty miserable. everyone's attacking adam, but what about kristen's original comment? that was very disparaging towards physicians...not to mention untrue. "the doctor doesn't see disease"
"the doctor only sees test results"
"the doctor spends 5 minutes with the patient"
All of the above is false. Blatantly false. If a doc only spent 5 minutes with a patient, he'd be in the hospital for what, an hour a day? Maybe 2? Even if you see the doctor in the room for 5 minutes, he's spending 15 writing a note, 10 writing orders, 10 calling consults, not to mention discharging, transferring, answering calls, reading outside hospital records, chasing down lab results, etc. Its not unusual to spend 45 min to an hour for each ICU patient. Worst article. First of all, only a plastic surgeon, who's medical knowledge rivals that of an intern or maybe student..could have the hubris to think he WASN'T part of the "July effect. Second, you defib not Cardiovert, there's a difference. Third, the nurse def told you what to do/most of the time can run the code themselves until a senior shows up (you see they take acls also) and you certainly don't have time to rifle through instruction manuals in a real code. Fresh interns at least in the first few weeks are typically hand-held by 2nd and 3rd years. Nice imaginary scenario you've made up here. For everyone else, guess what. An intern on day 1 is still a DOCTOR who has COMPLETED medical school so show your respect (and patience). They are absolutely being supervised, not always visibly so. And they aren't placing your IV sir that was a new RN. They are learning to make medical decisions and how to apply their extensive knowledge base of the human body. not really hubris. Completion of an MD is no joke, and does imply quite a bit of knowledge. Sure, there is a LOT of training and education to take place after, but they still do know all the science that goes into medicine. They just have to learn about how to apply it. And respect for patients had nothing to do with the original statement. Yes ... Reality bites ..... We work " as a TEAM" .... Collect the information re : current status and patient history and ... CHANGES .... It is a very challenging position for a new DOC...... Nurses are an important part of this team .... They know am labs , current status and changes. We can trouble shoot them together and hopefully " save a life"
alright someone has to do it... Adam are you one of the new interns?? In our hospital in Seattle, codes are ALWAYS run by an ICU intensivist with the help of board certified hospitalists.....the interns only help out. In a real hospital there are always in-house physicians. That is the regional standard of care and anything less is considered below standard of care and/or malpractice. So much for "top 5" hospital. I wonder how yours gets away with an unacceptable death and morbidity rate due to this travesty of "health care"
@ellen Your comment is naive and irresponsible. Fellows, Medical residents, and interns work very hard and long in learning and trying to do their best to provide the best care for hospitalized patients. In a teaching hospital, it is much more common to see your medical resident rather than your attending throughout the day. Implying that this care is subpar is a disservice to teaching hospitals everywhere as well as an unnecessary call to patient anxiety. I work in a REAL hospital. Our codes have never been run by none other than our 3 yr residents and awesome SWAT nurses. I work for a nationally ranked hospital that is top notch in safety. Yes my Dad died at Columbia Presbyterian due to incompetance at the hand of inexperienced interns and low staffing. Don't always thinks the big hospitals are better. Our family tragically learned the hardway. He had lung cancer but was suffocated before the cancer had spread due to an intern not knowing how to drain the fluid. Cheapness and inexperience cost us precious time with our loved one. Please stop the negative statement. I have been working for 23 years as an RN. I am embarrass to read some of the fellow comments. We all started from zero at one point. I have so much respect to doctors after seeing what they have been through during residency. I help them in a respectful manner during code, placing A-line, even the nephrologist attending several times asking me to help them to place dialysis catheter to a 400 lbs pt because I am very well known in my 650 bed hospital to able to place lines under ultrasound. I never think that I am better than doctor. I am skillful in that area because that is one of the thing I do for years. I am very respectful to help new resident and love to help them because resident doctors have so much knowledge. I do orient a lot of new RN as well. So fellow RNs, let's always remind ourselves what should we do if we are in someone else position. How do we respond to negative situation? How to create giant of others. Be supportive and be respectful. Amen to that. Teamwork and communication between the ENTIRE team with no back and forth nonsense on who is smarter/more experienced will ultimately be best for the patient. Know your own strengths and the strengths of those around you! It'll be the difference between life and death in a rapid response/code situation and it'll help with maintaining sanity in any other. Dr. Youn paints a ridiculously broad brush by stating that medical school graduates "know nothing" on arrival at hospitals for internship. Consider Dr. Yoon's specialty for the reason that he knew nothing about treating arrhythmias and hadn't bothered to open a manual to help. Those of us practicing internal medicine, cardiology and critical care didn't arrive to internship hopelessly lost. Dr. Yoon is in danger of becoming a media pseudo-doc, like Sanjay, whose bios are more about which shows they've been on than what they know. Whats Going down i am new to this, I stumbled upon this I have found It positively helpful and it has helped me out loads. I am hoping to contribute & assist other customers like its aided me. Good job. Your self should towards be a component of a contest for a single of the utmost high quality web-sites upon the world wide web. I’m moving in the direction of suggest this website! I seldom comment, but i did some searching and wound up here . And I do have 2 questions for you if it's allright. Is it simply me or does it look like some of these responses look like they are written by brain dead folks? 😛 And, if you are writing on other social sites, I would like to follow everything new you have to post. Could you make a list of every one of all your communal pages like your twitter feed, Facebook page or linkedin profile?